The Protergia Home products meet your requirement for more economical electricity supply for you and your family at truly competitive charges with clear, unambiguous billing. Protergia Home N is addressed to residential customers with electricity consumption needs that vary during the day. 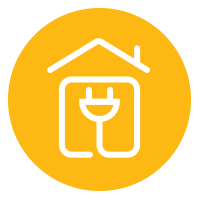 Protergia Home is addressed to residential customers with stable electricity consumption needs throughout the day.